Normal Sales Price: € 45.00. 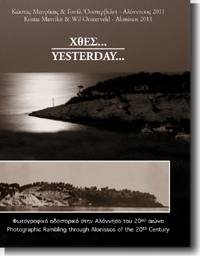 Within the pages of this bilingual (greek and english) photo book entitled "Yesterday" you are invited to enjoy and appreciate a selection of 700 old sepia-coloured photographs of life on Alonissos and its outer islands brought together in a large format book covering 244 pages divided in 6 chapters. Ordering, incl. packing and postage. 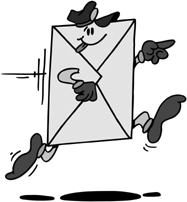 In case you want to pay to our bank account, please send us an email (admin@alonissosmuseum.com) so we can give you the account details. Normal Sales Price: Black & White Version € 24.95; Colour Version € 39.95. Unlock the Sporades mysteries - the Aegean's hidden jewels. Once a refuge for pirates, known variously as Satan's Islands, Demon Islands, Thieves' Dens and the islands of the Magnesians, the Northern Sporades - literally meaning 'scattered' - with their dramatic changes from island to island, strange geological forms and historical remains, are among Greece's most delightful secrets. 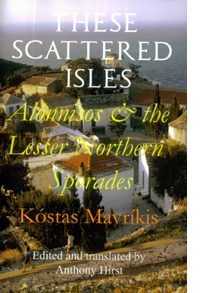 For These Scattered Isles Kostas Mavrikis, in the company of those who live or used to live on these islands, has extensively explored the lesser Northern Sporades photographing every trace of ancient habitations which have given rise to countless legends and traditions. Piecing together these legends, the historical evidence and the written texts, Mavrikis has produced a multi-faceted image of the islands of Alonnisos, Peristera, Kira Panaya, Youra, Piperi, Psathoura and Skantzoura and many other smaller islands. Ordering a B&W Version, incl. packing and postage. Ordering a Colour Version, incl. 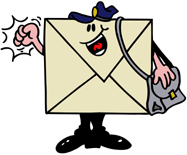 packing and postage. Normal Sales Price: € 29.95. 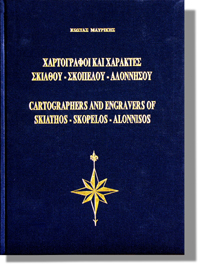 One of the most remarkable books that Kostas Mavrikis published in 1998 is "Cartographers and Engravers of Skiathos, Skopelos and Alonissos". This beautifull, large format hardcover book (24.5 x 34.5 cm or 10" x 13.5" ) is bilingual, namely Greek and English. It covers over 170 pages printed in colour and black & white. The majority of pages (68) cover reproductions of maps of Greece and the Aegean of famous historical cartographers, like Claudius Ptolomaeus, Abraham Ortelius, John and Cornelis Blaeu, Gerard de Joode, Giacoma Castaldi, just to mention a few. In addition to these maps 24 pages of portolans are included. Over 60 pages with drawings of landscapes of the various islands, portraits of inhabitants in traditional costumes, historical coins and seals complete this remarkable reference book of the Northern Sporades.